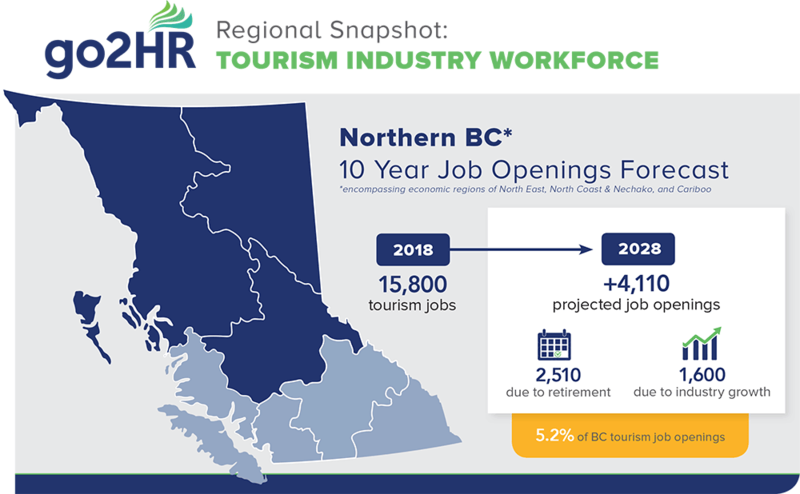 North Coast and Nechako, with an already tight labour market, is facing the added pressure of expanding mining, oil and gas sectors that are enticing young workers to take positions. By 2028, it is anticipated that the region will have 1,340 job openings. The food & beverage, recreation & entertainment, and transportation sectors will be the hardest hit.